THE East Coast Main Line, the principal rail route linking Yorkshire to the rest of the country, is becoming full. According to a consultation document from Network Rail on future demand on the line, passenger numbers on long distance and commuter routes could increase by 40 per cent over the next decade. With many people already sometimes having to stand on some trains all the way between London and Leeds or York, significant investment is needed to ensure that people can continue to let the train take the strain without having to endure intolerable conditions. There is talk of expensive schemes such as flyovers, the quadrupling of tracks, extra platforms and improved signalling. However, it is highly doubtful that the Government will be prepared to fund such improvements. The Department for Transport is expected to publish a White Paper shortly setting out a 30-year strategy for the railways, and announce the amount of funding that will be available for the railways between 2009 and 2014. While some improvements to the East Coast are likely to be included, such as extra trains and more platforms at King’s Cross, the billions needed to bring about an end to overcrowding will not be forthcoming. There will be no full scale upgrade of the East Coast line, not least because the refurbishment of the West Coast line cost £8bn, four times the original estimate. It is not all bad news. Already there has been the recent increase in the number of trains linking Leeds with London, creating a half-hourly service. According to Network Rail, it may be possible to find a few extra train paths, creating a more regular pattern of service on other routes. However, with a near 50 per cent increase in passengers over the past decade, the rail system is already overstretched. If conditions on some trains start to become unbearable, watch out for attempts to “manage demand” or, in plain English, squeeze passengers off some trains by redefining them as peak services on which only premium tickets are valid. Only season tickets and savers are regulated by the Government – they can only go up by one per cent above the rate of inflation – so expect big rises on other types of tickets. This has already happened on commuter routes operated by South West Trains and could well be part of the strategy of the winning bid for the East Coast Main Line franchise. This is because the railways are being squeezed by the Government, anxious to reduce the £5bn annual subsidy it is forking out to the private operators. 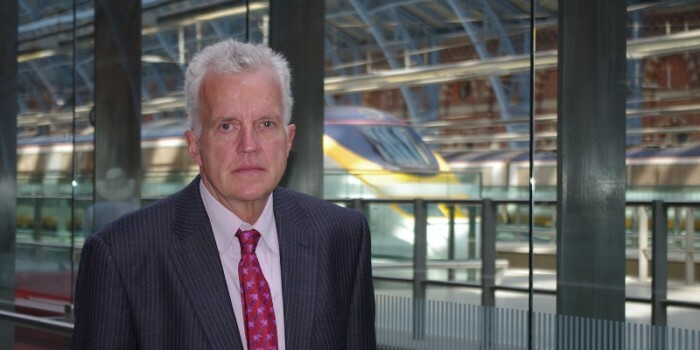 The current franchisee, GNER, had to throw the towel in despite booming numbers of passengers because it could not meet the onerous payments required by the Government under its franchise agreement. The bidders for the new deal, set to start early next year, are likely to have a similar “fleece the passenger”element in their plans, in order to win the franchise in the present financial climate. Perhaps, though, some rather more radical thinking is required. Transport policy for much of the post-war period has been an attempt to predict the level of growth and provide for it. Over the last decade, it has become apparent that this is unsustainable and the Government has had to accept that roads congestion is set to rise because there is simply not enough room on our overcrowded island for too many more roads. The environmental effects of increased travel are becoming ever more apparent, since transport contributes a quarter of Britain’s greenhouse gases, a proportion that is growing. While rail is relatively less environmentally damaging than other modes, it still has a substantial carbon footprint and therefore it may be that the only long-term solution is to break our addiction to transport. While the reappearance of wartime posters asking “Is your journey really necessary?” is unlikely, as the damage caused by climate change such as last month’s floods in South Yorkshire, become more commonplace, more and more people will make the connection between their individual desire to travel and the global effects. Moreover, if the Government is keen to get more people on to trains without adding capacity, how about turning some of those empty first class compartments over to us ordinary plebs who can’t usually afford to sit in them? The really radical solution would, of course, be a new line. The Department for Transport’s 30-year strategy will also include a decision on whether to undertake preliminary work on a new north-south high speed railway. That would clearly provide the capacity to unblock the East Coast but unfortunately not in the foreseeable future. Such a scheme would, at best, only reach Birmingham from London within a 20-year timeframe and therefore offers little hope to today’s generation of travellers who will have to put up with ever increasingly full trains, as well as worsening congestion. Breaking the travel habit may increasingly be the only sensible option.